Dolls & Other Toys Come To Life At North Pole City! Yes, it’s true boys, and girls you can have a real life Toy Story in my winter wonderland! Whether it be dolls, action figures, vehicles, or anything with even a hint of anthropomorphism. Almost any object that fosters an emotional attachment within a child. We already have a variety of sentient toys native to North Pole City including our infamous wooden nutcracker soldiers that march about the cobblestone streets. For some reason, they don’t get along all that well with my marching enchanted Penguins! Often times children visiting here witness the awe-inspiring magic of their toys coming to life before their very innocent eyes. It’s a joy I never get tired of seeing even after all these hundreds of years. Especially when a child’s favorite toy or doll manifests a personality along with complete human-like facial expressions and independent mobility! Naturally, those toys have included Toy Story, and Disney Cars memorabilia, just to name a few. How does this amazing magic occur? More or less it’s my Angelic Saint Nicholas energies guiding the Spirit Of Christmas, the magical innocence of children, and the human collective consciousness into the willful purpose of breathing life into the inanimate, and intelligence into the normally limited. The pure holy light of the Christmas Star plays a role as well. Aspects of the human collective consciousness are utilized to imbue intelligence and personality. However, my personality along with my family & Elves play a role as well. Especially when it involves Santa, Elf, or other North Pole citizen based dolls and toys. Such dolls can also act as a conduit to speak directly to me or other Christmas citizens. I’ve told many children bedtime stories through Santa Claus dolls at a distance. In most cases those coming here with their toys supersede my will in shaping a toys personality. Generally, when it comes to life it’s exactly as the child thinks it should be. In some cases, I have had to step in when someone brings the likes of a horrifying Chucky Doll here! Don’t get me started on the chaos that ensued last time that happened! In addition, artwork brought, or created here can take on a life of its own. Animated paintings, and autonomously moving sculptures along with written stories coming to life are quite common! Even musical compositions can have quite unusual effects depending on the mood of the composer, or even the people listening nearby. The magical animations of toys and creations can be shut off by anyone simply telling the enchanted entity to sleep. At that point they will return to being normal toys that can be played with as any child would. However one can tell the toy to pretend to sleep if that is apart of the playtime. Commanding them to awaken brings them back to life again. Just before leaving the North Pole children say goodbye to their beloved toys conscious personality and promise to see them again when they return again. Although those with certain magical abilities or parents with such powers can bring the toys back to life anywhere. Either way once the toys have visited North Pole City they are spiritually recording everything going on around them when unconscious and will have complete memory when animated again. Sometimes the toys will themselves to be alive for brief periods of time when they sense their child is in danger! On a final note the magic doesn’t end with toys as indicated by the aforementioned marching enchanted Penguins, and of course, my infamous talking & flying Reindeer. Those bringing their pets to the North Pole will find they can finally communicate in an intelligent manner with their beloved animals in their native tongue. The same paranormal process that imbues toys, and other inanimate objects with life, and intelligence, enhances pets as well. It even improves less fortunate humans with various ailments affecting the brain. Some are shocked the first time their family dog utters complete intelligible sentences but within hours they’re acting like it’s an everyday occurrence Scooby-Doo style. As with the toys, the enchanted effect wears off once the animal leaves the mystically cloaked confines of my sainted city! 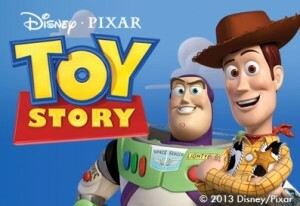 Don’t Miss Toy Story 4 Coming To Theaters June 21st, 2019…However, We Will Have It Here At North Pole City On Christmas! Yes, it is true a Spork made into anthropomorphic artwork would come to life at the North Pole. I’m not sure why the Spork in the video below didn’t want to be apart of the happy Toy Story Family? Is The Grinch That Stole Christmas Real?